The iPhone default audio settings are a little flat for some types of music, and if you’re not thrilled with the way it sounds you will find it remarkably easy to adjust thanks to the iPhone’s built-in equalizer option. Technically the iPhone equalizer is part of the Music app, it’s not an equalizer in the sense of manual sliders that you can adjust on your own, but there are tons of preset options for a wide variety of music or audio needs, and you’ll certainly find one for your audio preferences, whether you’re listening to ebooks, rock, classical, electronic, podcasts, or anything in between. Note: I highly recommend having a song playing while you are trying out different EQ settings, the changes are quite different and you will immediately hear how each sounds as it impacts treble levels, bass, amplification, and all the equalizer magic. You may want to change your iPhone’s equalizer settings to fit different audio output, for instance I use ‘Small Speakers’ when I’m using Apple’s earbuds, but I’ll use a more specific genre theme with higher quality headphones, external speakers, or my iPhone/iPod dock . It makes a surprisingly big difference, so play around and find one that works for you. The equalizer settings still exist, and still work the same, regardless of appearance however. 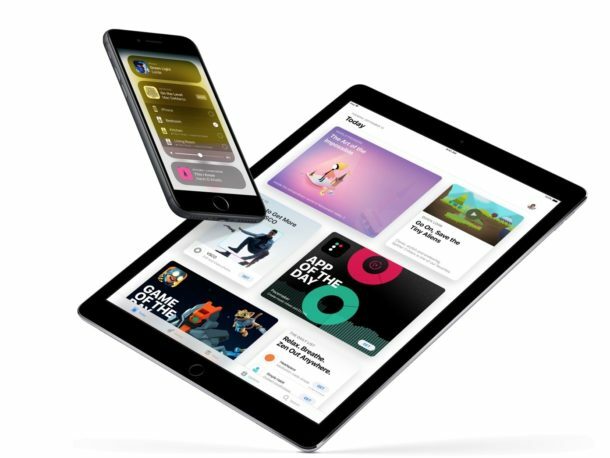 On the desktop side of things, iTunes has a much more complete equalizer with fine-tune controls in addition to the standard default preset options for music genres and audio types, and that is accessible from both Windows and Mac OS X versions. Attention: Activating equalizer has serious impact on your battery lifetime! If you customize the equalizer setting in iTunes, those settings will carryover to the iPhone and you can enjoy the sound quality with the iPhone equalizer presets turned off. The settings don’t carryover to the iphone. Did you ever get your computer’s iTunes EQ settings to carry over to your iPhone? It’s not working for me so far. Is that really works ? Can you describe me the steps more in detials ? I think this is kind of pointless… Doesnt the iphone menu speak for itself? It’s in Music in iOS6+, not iPod. Do you have any idea if there is an equalizer for iphone to use with internet radio like tunein or Anghami.. Please can you recommend a present day equalizer app that I can use when streaming on either pandora or amazon prime music. Please be specific and provide step by step instructions for dummies on how to download and adjust bass, tremble, etc. please I am totally frustrated trying to find one for my iPhone 6 Plus 11.4 or higher is.